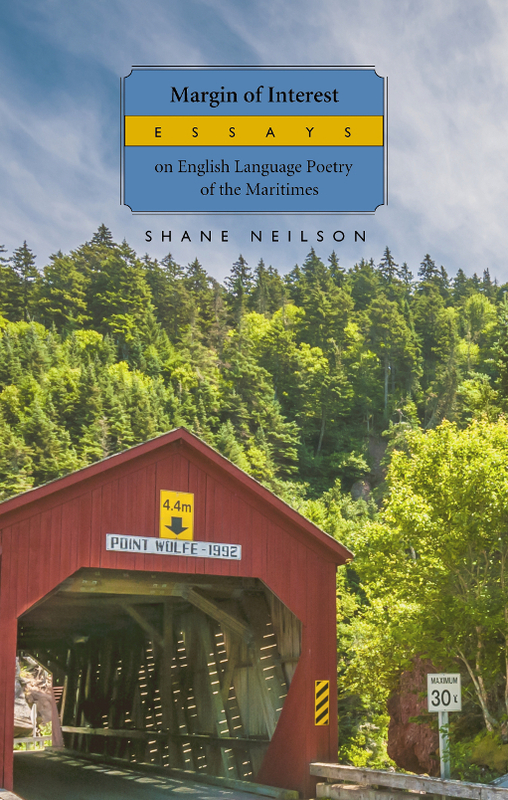 The essays in Margin of Interest showcase the rich history of poetry in the Canadian Maritimes, recognizing the drawbacks of regional frameworks while finding power and beauty in the literary traditions of writers who exist on the margins of Canadian poetry and culture. In Margin of Interest Neilson examines representation, identity, power, and the politics of literary history, from the creative traditions of the Mi’kmaq to the work of young poets today. He pays due homage to iconic Maritime writers (Milton Acorn, Alden Nowlan, George Elliott Clarke), shines a critical spotlight on lesser-known masters from the region (Travis Lane, Wayne Clifford) and provides a glimpse inside the ‘diverse ecosystem’ of poets under 40 writing in or about the Maritimes (Rebecca Thomas, Lucas Crawford, El Jones). He also combats the prejudices so often applied to writers from Atlantic Canada—stigma associated with mental illness, rigid gendering, vernacular language and even poetic form—and advocates for a long-overdue reappropriation of the regionalist stance, as well as a proper recognition of the region’s writers and their contribution to the Canadian literary landscape. From "Maritime Poetry: A Unifying Field Theory"
One of the great temptations of any book of criticism is to generate a thesis which can be tested throughout its length. The point of publication, for some, is to devise a new idea which adds to the body of knowledge about a person, place, or thing. It’s tempting to try to fashion descriptive and analytic tools. Since this book is about my people (Maritimers), my place (the Maritimes), and the most valued thing outside of my family (poetry), I was sorely tempted to reinvent the wheel. Universalizing ideas only cause trouble, anyway. I’m not able to offer a unifying theory because I lack the intrinsic understanding of French-Canadian/Acadian and Indigenous identities and histories, and these literatures are far older than relatively recent English ones. Moreover, one could argue that other identity shards should be added to my (ironically) centrist history—the history of women writers in the Maritimes, the history of LGTBQ2S+ writers in the Maritimes, the history of Africadian writers in the Maritimes. By now you must realize that any theory I might offer an audience is already suspiciously narrow, but if it did include all the aforementioned categories, it would be uselessly broad. Besides, any claim for the primacy of a single idea is inherently suspicious. Such an idea would suspiciously become ‘the centre’—a centre ridden with exceptions, as is the rule in any critical framework with specificity. I would soon want to write a book about the exceptions that disproved my idea, trying to make my own idea marginal. As Wolfgang Hochbruck writes in his introduction to Down East: Critical Essays on Contemporary Maritime Canadian Literature, ‘[N]o one perspective will ever suffice to explain everything’ and ‘summarizing and centreing statements will always be made at the expense of margins, fringes, and diversity.’ I might even get bored with the Unifying Theory since it seemed so Unifying. Finally, we’re talking about a region that has been told to Unify For The Sake of Survival for several decades now, and take it from me, contemporary Maritimers don’t like that kind of talk. If you’re disappointed, though, reassure yourself that the centrist homogenizing edicts are reflected in your disappointment. This place is too various and diverse to conform to your expectation. ‘A combatively ironic book, and like many such, a love letter—and at the same time a map of a particular imaginative world, one loosely coextensive with the Canadian Maritime provinces: that margin at the centre of Neilson’s thinking.... This is also a brave book. Neilson writes about colonialism, about religion, about pain, about fatherhood—about poetry—all subjects notoriously resistant to discussion in English prose, and he does it with heart and intellect and with piercing vulnerability. 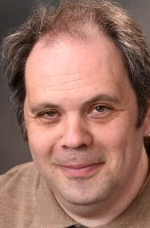 Shane Neilson is a poet and physician who, in addition to several collections of poetry, has published in the genres of memoir, short fiction, biography and literary criticism. He is currently a fellow of the College of Family Physicians of Canada, a Vanier Scholar at McMaster University and editor for Victoria, B.C. publisher Frog Hollow Press. Though he lives in Oakville, Ontario, all of his work is rooted in rural New Brunswick.